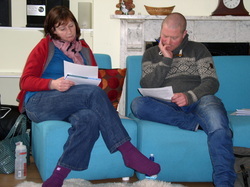 Relational Centred Counselling is at the leading edge of professional counselling training in the UK and Europe. It is supported by research into what it is that actually works in therapy, and draws upon contemporary developments in existential philosophy, psychoanalytic, psychodynamic and humanistic theories. Of crucial importance to this approach to counselling is the therapeutic relationship as a co-creation, involving both client and therapist. Therefore trainees will develop as reflexive practitioners, able to reflect on the client, themselves as therapist and the process between. This is underpinned by developing a sound working knowledge of the dynamics of relating, including transference phenomena. Of particular interest will be the insights that have emerged from a range of theories of child and adult development. It is a professional requirement, as well as a moral obligation, that trainees undergo their own personal therapy which is indispensable to an understanding of human relationships.